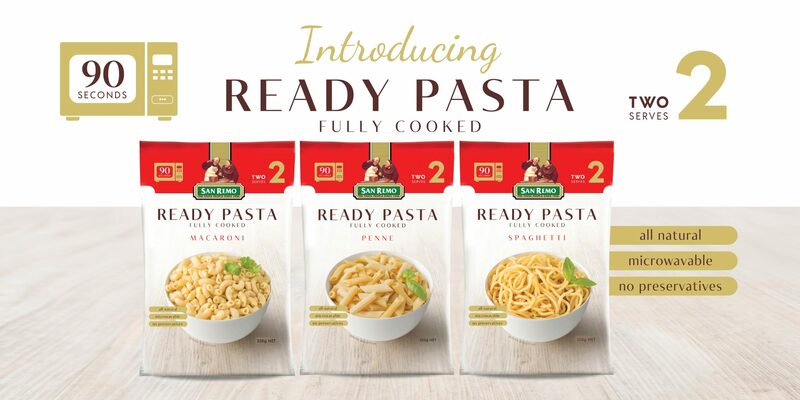 San Remo Ready Pasta is fully cooked and ready to eat! 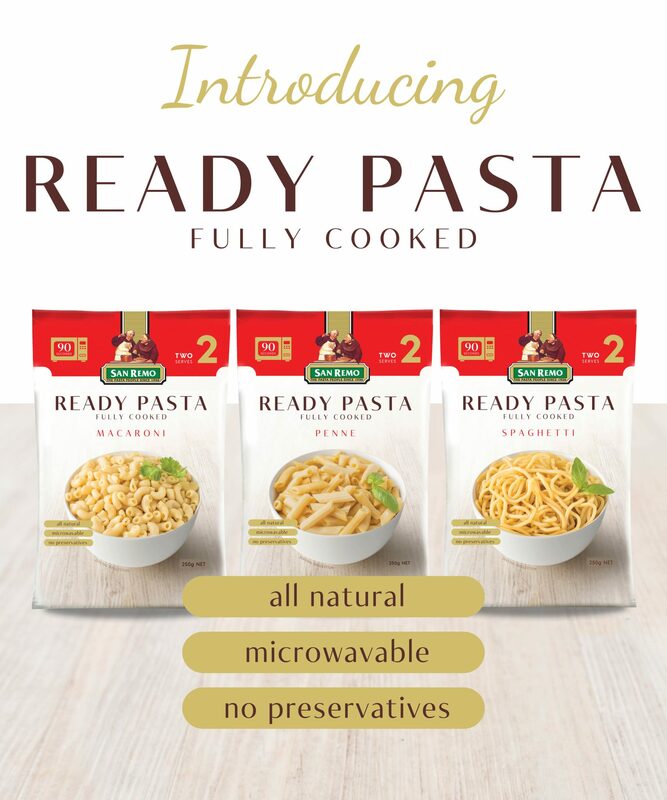 It is a delicious preservative free, all natural pasta that is made in Australia from 100% Australian ingredients. Durum Wheat Pasta & Extra Virgin Olive Oil.